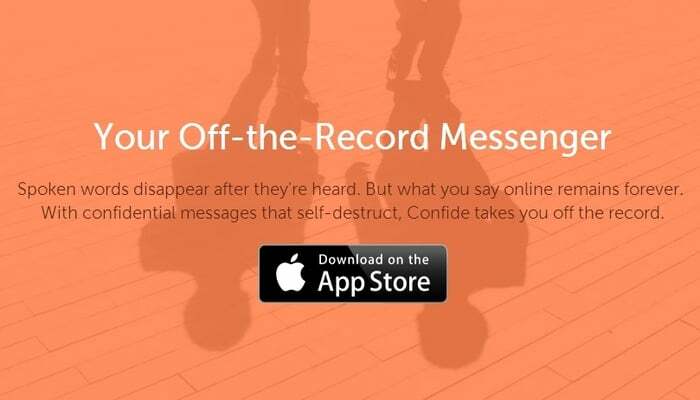 Anyone looking for a way to exchange confidential messages that would be terminally deleted once read, would be interested in giving this smart, yet simple app a try. The secret ingredient, which makes Confide stand out from the crowd of Snapchat mimicking apps, is in the functional, yet simple design, which adds a touch of fun to the user experience. It is impossible to take screenshots of messages in Confide (for example, if your device is inhibited by a keylogger or camfecting app, or any other spy software). 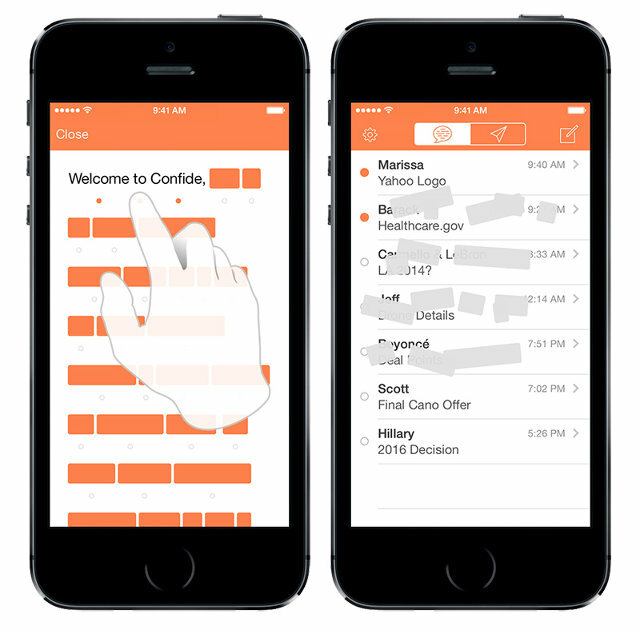 Confide is implementing a “wand” technology, which requires the user to tap on the hidden words to reveal them. Once the word is revealed, it is then hidden again. In fact, the messages in Confide are delivered in totally ineligible form as if they were NSA top secret files, where all the important words are covered with black marker. To reveal the words, you must tap on them, which beats the spyware. The sender will receive the notification once the recipient reads the message while the read message is being deleted. The app has been designed with professional audience in mind. Cryptographic tools may seem overwhelmingly difficult to lazy users, so Confide just may hit the sweet spot attracting the vast audience of users who would like to have more privacy in theory, but are too idle to study the subject in practice. “Professional relationships require tools for impermanence and confidence,” said Jon Brod as he unveiled the app. 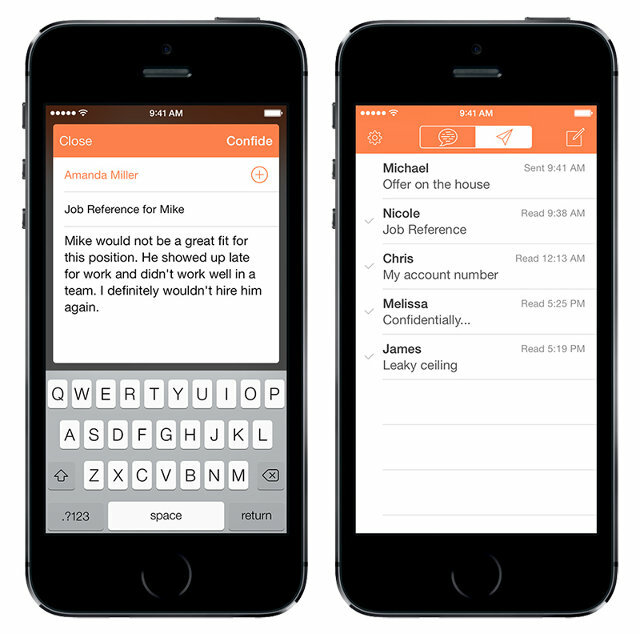 A practical solution for confidential messaging – it is nearly impossible to make a screenshot of a more or less legible text in its entirety in Confide. There is no self-destruction countdown, which allows users send long messages without the fear that it may be captured as a screenshot. However, bear in mind that recipients can only view the message once. When the user reads the message and closes it, it destroys itself. In addition, it is free. While revealing one word at a time may work just fine for short messages, we doubt it will please the recipients of longer texts, even though we would rather wait and see what the users say in their reviews. Besides that, I am perfectly sure hackers will come up with a way to interfere with the pipeline and intercept the messages, or prevent them from being destroyed. Basically, if the recipient does not need to have a decryption key to read the message, anyone in physical possession of the recipient’s smartphone can read the incoming Confide messages. In addition, in a man-in-the-middle case scenario, anyone with the appropriate tech knowledge can plug into your communication line. Then we have SecretInk, which emails a self-destruction envelope that burns when the timer runs out. There is also Peek, aka Skim, which deletes the message as you read it; it literally vanishes before your eyes. Frankly blurs messages after you read them; Gryphn deletes messages after you read them, and Burn Note requires a flashlight to reveal words. When the recipient is done with the message, it does not just close; it breaks apart – the marker blocks crumble away, showing the message no longer exists. The design solution looks well and appealing, making you feel secure. The fact that the app is iOS based, aimed at professionals and comes “hot right out the oven” means it is going to be secure for some time since its launch until the hacking wizards get to it.